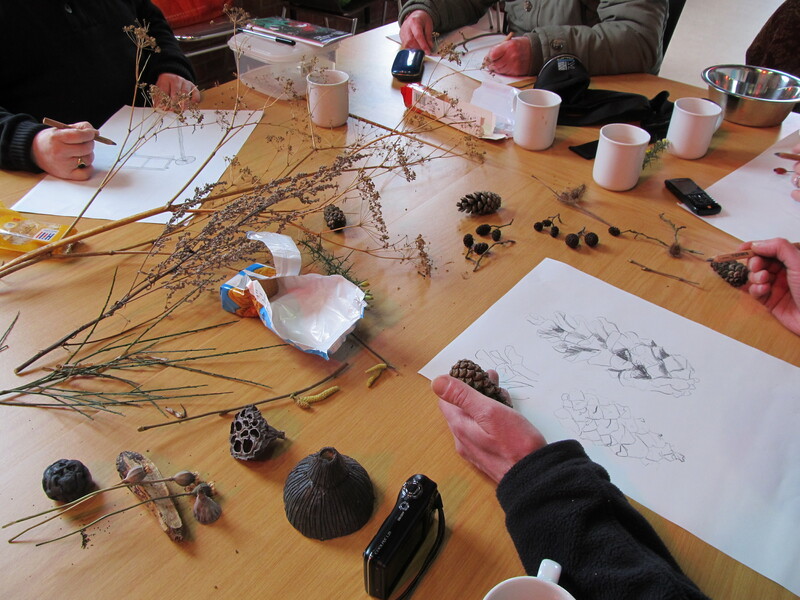 Last year, while I was planning these workshops, I had visions of the groups walking around the woods marveling at all the wonderful signs of spring emerging, sitting in sunlight and warmth, sketching away, listening to bird song… how wrong can you get? Where the workshops took place. The night before the first workshop there was an unseasonally heavy snowfall. The wind and cold were severe and we wondered if our first participants would be able to travel safely on public transport. They did arrive, albeit a little late. Our walk and talk became a brisk scamper to pick some budding hazel, alder and willow, and to marvel at the gorse that blooms most of the year, providing a much needed boost of colour. 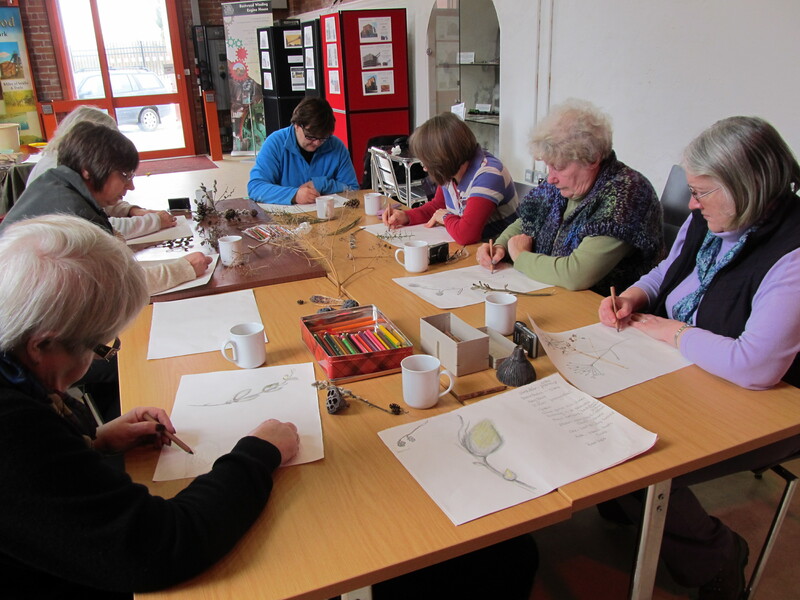 We ran back to the warmth of the Dynamo House and began our drawing, fortified with coffee and biscuits. 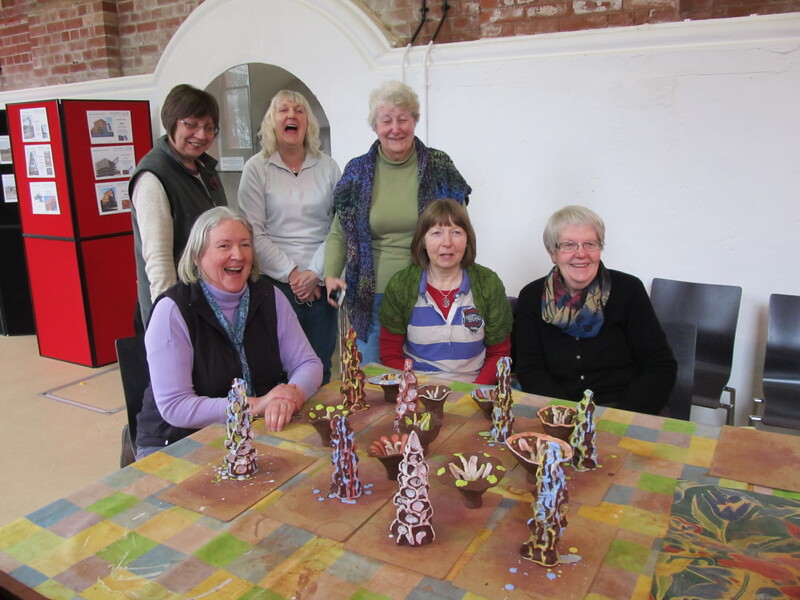 After lunch we started on the first flower and seed heads for the community “ceramic garden”. People responded enthusiastically to the brief (there is something about clay that has a universal appeal) and the chatter faded away as people became absorbed in what they were making. The group ‘Gateway to Nature’ have their own allotment and liked the idea of making their own flowers. It was decided that the workshops should take place in the school, after more snowfall had made the pavements too icy for the children to join us. So the next day Community Liaison Officer, Sue McDonald and I arrived with flora and fauna picked on the previous day. 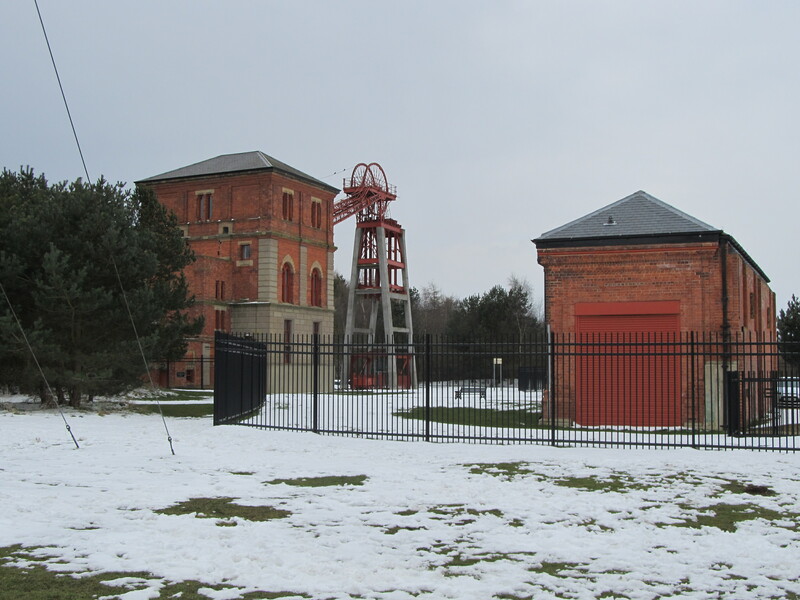 Our workshop fitted in neatly with the children’s project ‘Brilliant Bestwood’, where they had been looking at the history surrounding the country park and its mining legacy. Now we could introduce them to what grows in the park. Out came the magnifying glasses so they could view in detail the small buds and study the shapes they would later make in clay. Then I guided them in still-life drawing exercises, filling the paper with bold marks and smudges to give depth and shape. 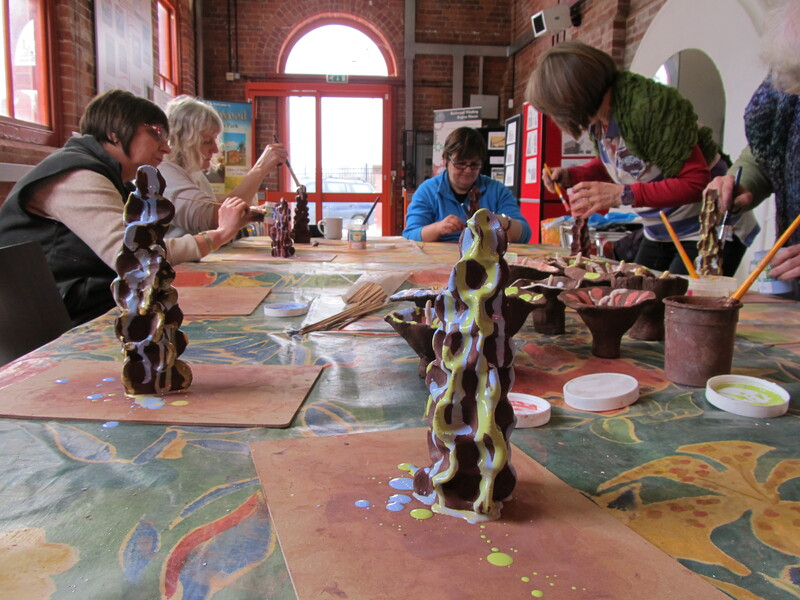 For the clay workshops we split the group such that we had two sessions of 15 children each. One group made flowers and the other poppy heads. Their teacher, Mrs Emma Reece Jones and teaching assistant became enthusiastic contributors too! The work will eventually be installed in the school’s nature garden. 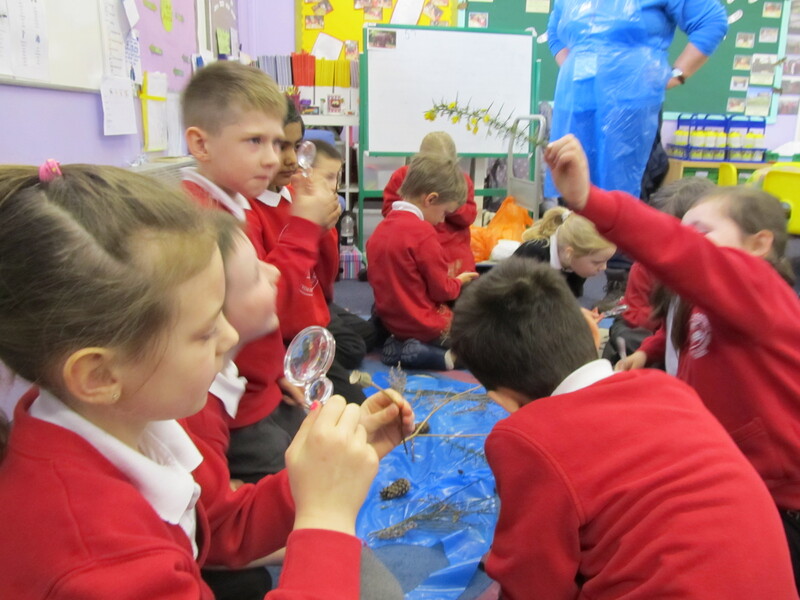 The weather was still foul and still unseasonable for this workshop but, wrapped up warm, we ventured out into the snow to become nature detectives. 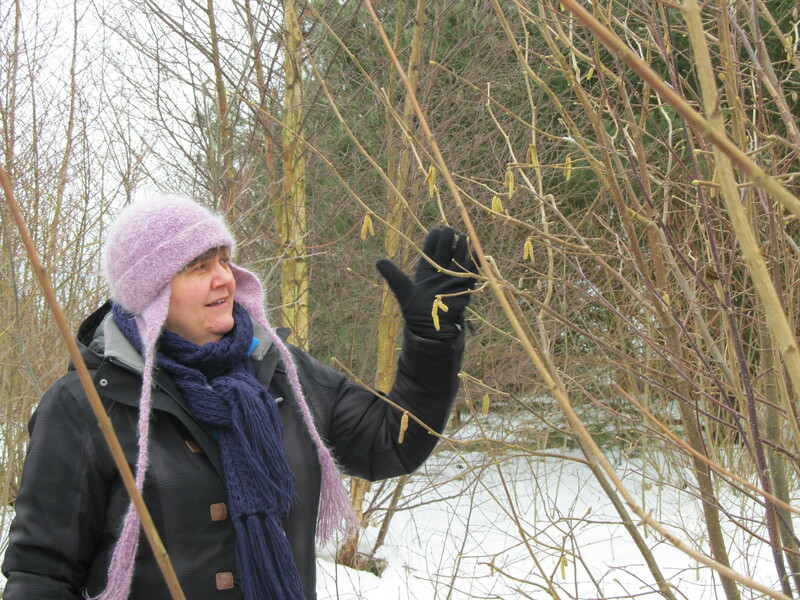 Sue led the walk and talk and we quickly found hazel, alder and ash with small buds. We also found budding Blackthorn and willow sprouting small yellow fluffy buds. The ladies were very knowledgeable about the surrounding area and with ex-Ranger Sue’s expertise we enjoyed a very informed session before returning to the Dynamo House for more tea and cake and the drawing session. 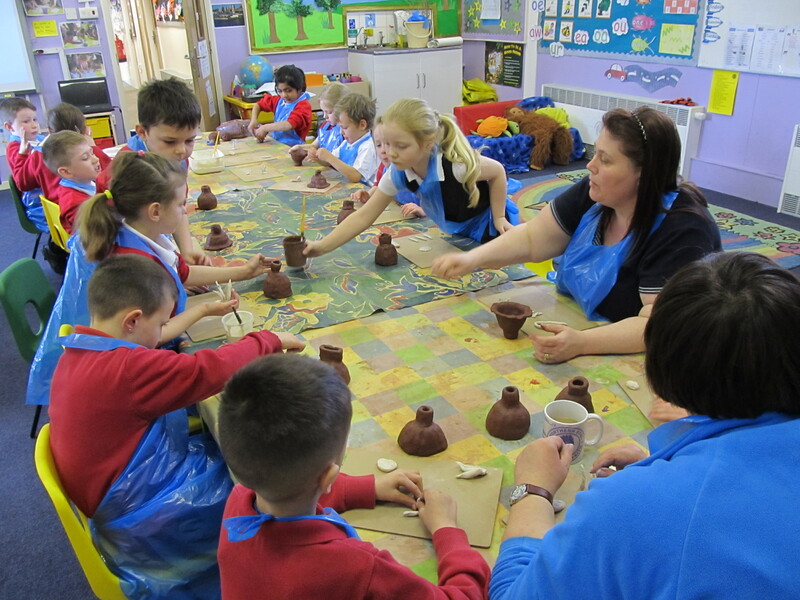 After lunch, we used our drawings to make more designs of a varying shapes for the ceramic garden. I demonstrated some simple techniques and showed how they could be manipulated and altered into flowers shapes. 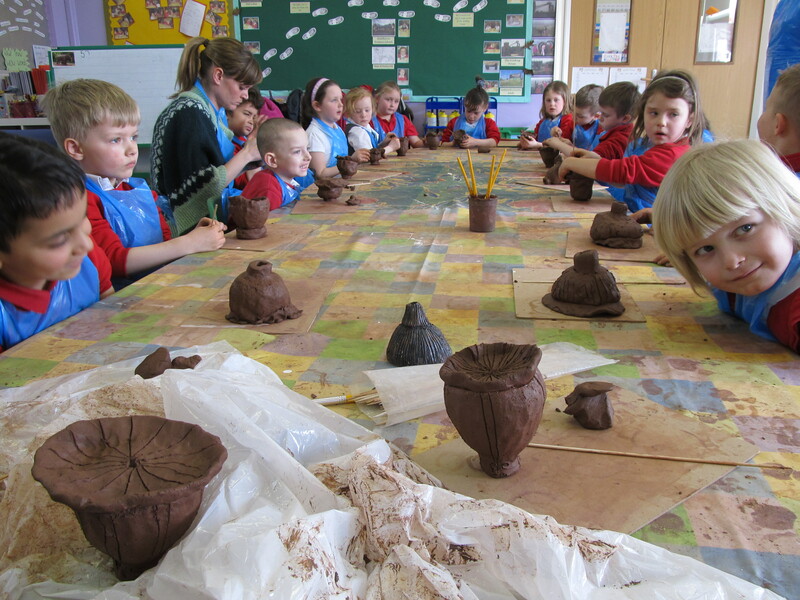 They responded enthusiastically, developing their own piece and making it individual. Decorating their work beautifully, I wondered if there was a competition going on for the best designed flower!! It was a fun workshop, full of learning, creativity and laughter.